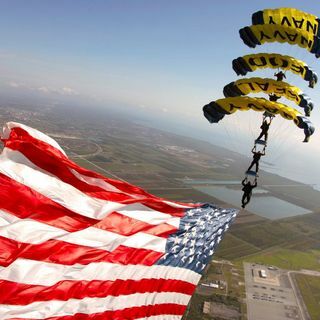 Intro: The United States Navy Parachute Team, or "The Leap Frogs," is the official parachute demonstration team for the US Navy. As a part of Naval Special Warfare Center, the team brings ... Más informaciones together active-duty Navy SEALs, SWCC, and support personnel. They demonstrate professional excellence by performing precision aerial maneuvers throughout the US. I'm Daniel Fletcher, today, we chat with Luke Vesci, a member of the Leap Frogs, who shares with us not only his personal perspective on parachute mastery, but also insights from his 13-year career with NSW. Let's get started.